Star Bharat channel launching a different types of shows after re-branding from Life Ok to Star Bharart. At the time of launch Star Bharat started four different types of shows then after launch a new shows "Jiji Maa", all the shows are success and Star Bharat got high TRP. Now according to media report Star Bharat will launch a new shows based on freedom fighter "Chandra Shekhar Azad'. The upcoming show title will be "Chandrashekhar". Story is written by "Anirudh Pathak" popularly known for "Devon Ke Dev Mahadev", "Siya Ke Ram", "Mahakumbh" and others. Aishwarya Sakhuja known for her roles in shows Saas Bina Sasural, Main Naa Bhoolungi, Nach Baliye and Trideviyaan. She will play important lead role in the show and as a freedom fighter. Dev Joshi is known for his role in SAB TV's Balveer. 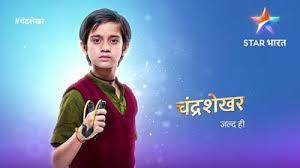 It's just a few months that Balveer went off-air, Now he will be look in this serial. Sneha Wagh is popularly known for "Jyoti", "Ek Veer Ki Ardaas-Veera" and "Sher-E-Punjab– Maharaja Ranjit Singh" now she will look the role of Jagrani Tiwari, the mother of Chandrashekhar Tiwari who would later be known as Chandrashekar Azad. Media houses publishing different news -First news is that Chandrashekhar will be live at 10:00 PM and Savdhan India will be move to 10.30 PM and other news is that Chandrashekhar will replace Jai Kanhaiya Lal Ki. "जो डरते नहीं, वो मर भी जाएँ तो मरते नहीं"